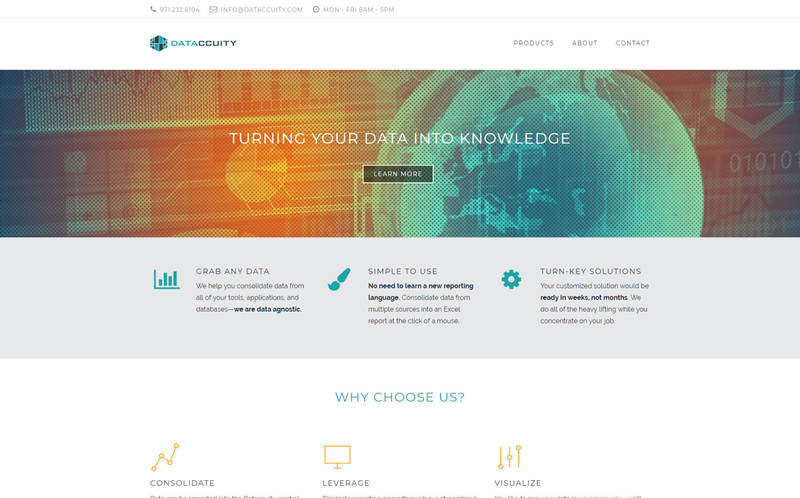 Dataccuity needed to re-brand and update their website to be more modern and tell their story better to their clients. We worked with top management to create a brand that showed their dedication to accurate data for their clients. 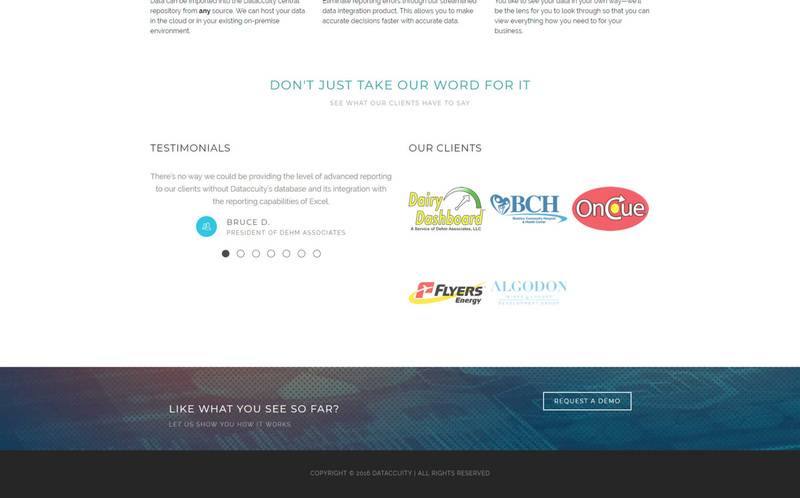 We designed and developed their modern website to be informational and easy to use.